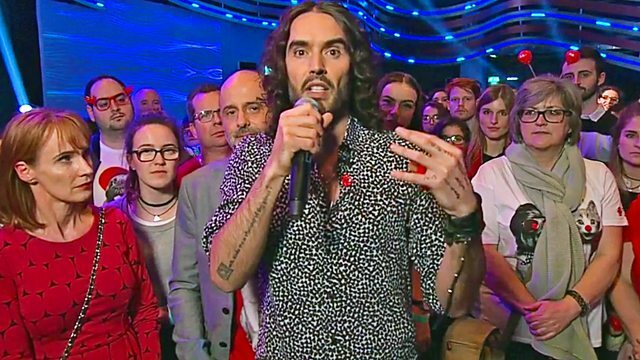 Russell Brand comperes more live comedy as he welcomes the hottest stand-up acts in the UK to the Comic Relief stage. Seven very special performers ensure the laughs - and donations - keep on rolling in. Programmes from Red Nose Day 2017 to help raise money for Comic Relief. Programmes across the BBC to help fundraise for Comic Relief.